CHICAGO – In the latest HollywoodChicago.com Hookup: Film with our unique social giveaway technology, we have 40 admit-two movie passes up for grabs to the advance screening of the new comedy “Jeff, Who Lives at Home”! The new film, which opens on March 16, 2012, stars Jason Segel and Ed Helms. 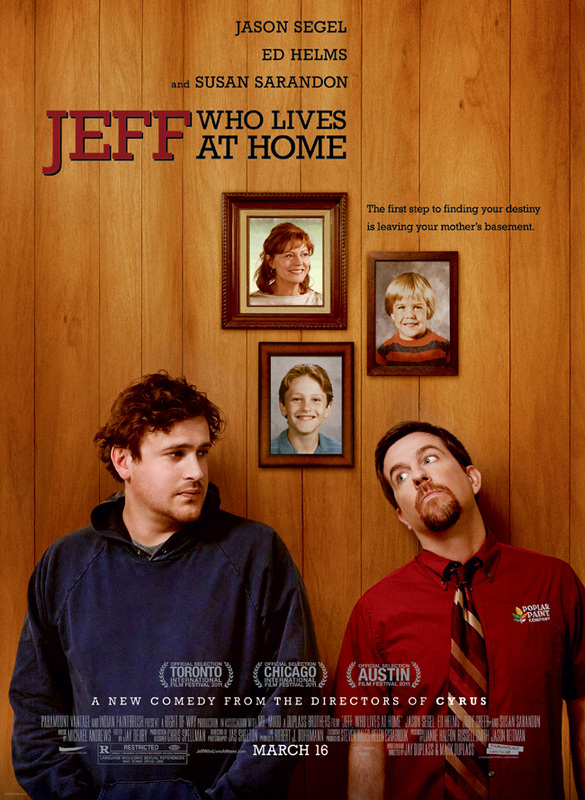 “Jeff, Who Lives at Home” also stars Judy Greer, Susan Sarandon, Rae Dawn Chong, Steve Zissis, Evan Ross, Benjamin Brant Bickham, Tim J. Smith, Ernest James, David Kency, Raion Hill, Zac Cino and Lance E. Nichols from writers and directors Jay Duplass and Mark Duplass. To win your free passes to the advance Chicago screening of “Jeff, Who Lives at Home” courtesy of HollywoodChicago.com, get interactive with our new Hookup technology directly below. That’s it! This advance screening is on Tuesday, March 13, 2012 at 7 p.m. in downtown Chicago. The more social actions you complete below, the higher yours odds of winning! at 4 p.m. CST. These Hookup winners will be awarded via e-mail that night. On his way to the store to buy wood glue, Jeff looks for signs from the universe to determine his path. However, a series of comedic and unexpected events leads him to cross paths with his family in the strangest of locations and circumstances. Jeff just may find the meaning of his life, and if he’s lucky, pick up the wood glue as well. The movie poster for “Jeff, Who Lives at Home” starring Jason Segel and Ed Helms. The movie trailer for “Jeff, Who Lives at Home” can be watched now below. This HollywoodChicago.com Hookup is simple! Just get interactive in our new Hookup technology above. We will award 40 admit-two tickets based on social entry numbers and/or randomly via e-mail for our “Jeff, Who Lives at Home” Hookup. Good luck!